It’s Time for Greek Fest! Ancient Greece is the birthplace of western civilization, having shaped the world thousands of years ago with contributions and achievements in just about every area of life, including social and political systems, science, art, architecture, philosophy, education and language. Open your e-magazine now to learn more about Greek Fest. Your Home: Are Your Gutters Doing Their Job? 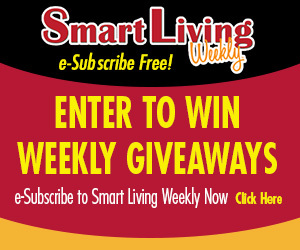 Congratulations to Amy Haller of Belvidere, this week’s Smart Living Weekly giveaway winner! Amy takes home a $25 gift card to Molly’s Attic, in Belvidere. This entry was posted on Wednesday, September 7th, 2016 at 5:00 am	and is filed under Arts & Entertainment News & Events, Business News & Events, Mind & Spirit News & Events, News & Events, Smart Living Weekly, Smart Living Weekly. You can follow any responses to this entry through the RSS 2.0 feed. Both comments and pings are currently closed.